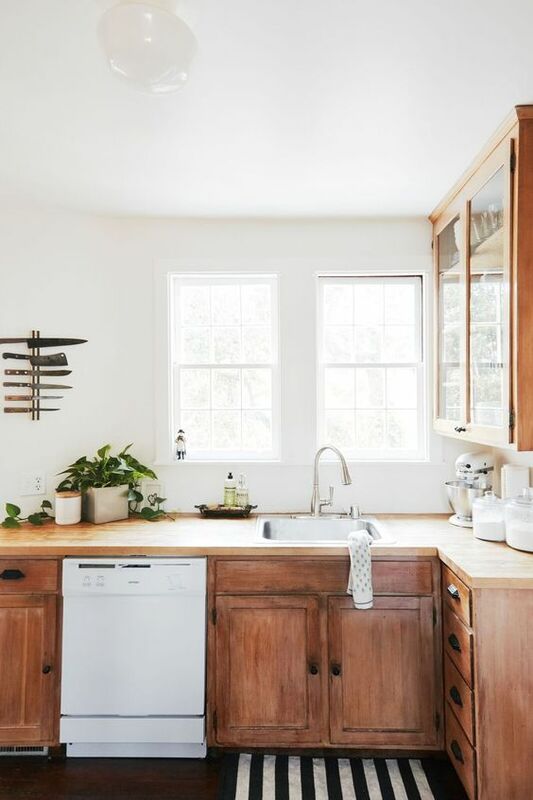 Rustic decor is very popular because of being cozy and comfy, and you can not only rock this style in your space but also just add some cool rustic touches. 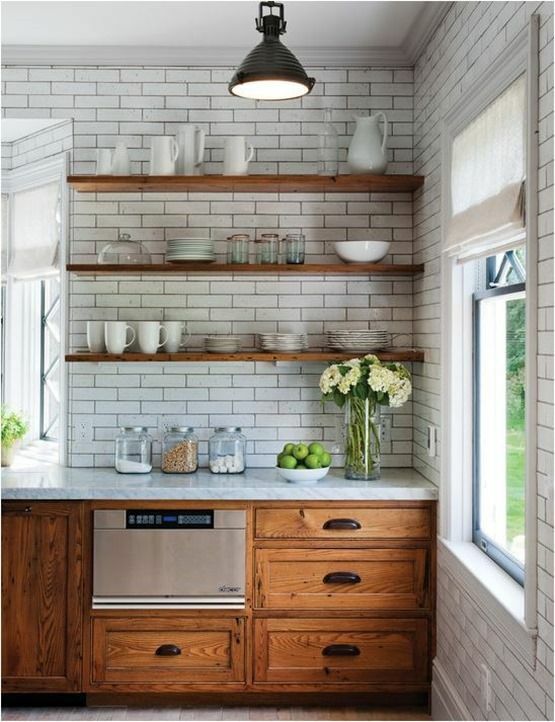 Rustic decor blends very well with different styles: modern, minimalist, industrial, vintage and others, and it’s a great style to add coziness. 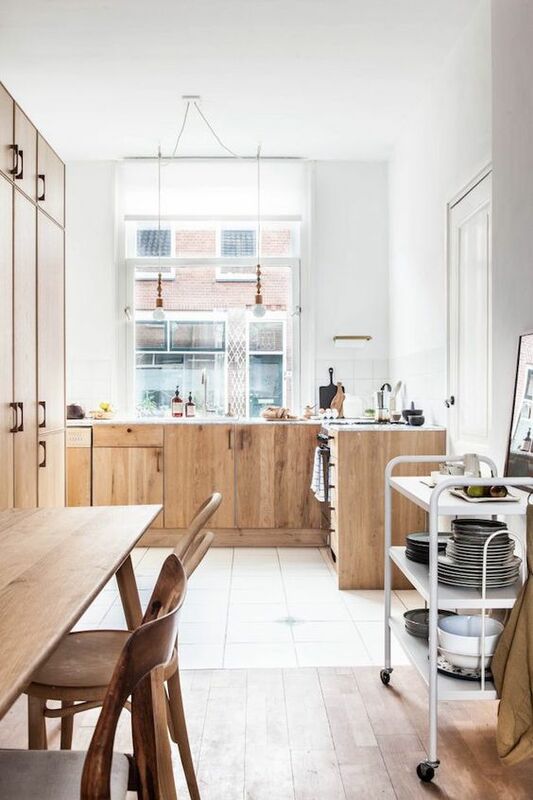 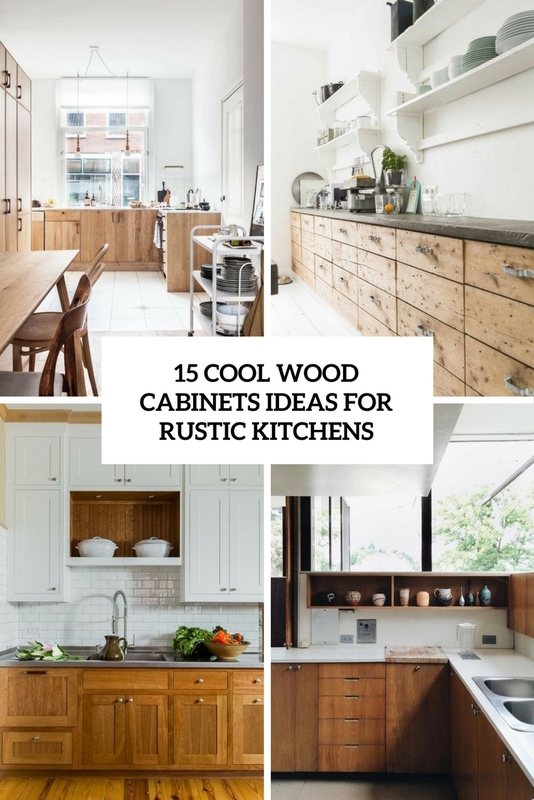 Today we are going to inspire you with cool kitchens in different styles and with rustic wooden cabinets, I’m sure you’ll find something eye-catching. 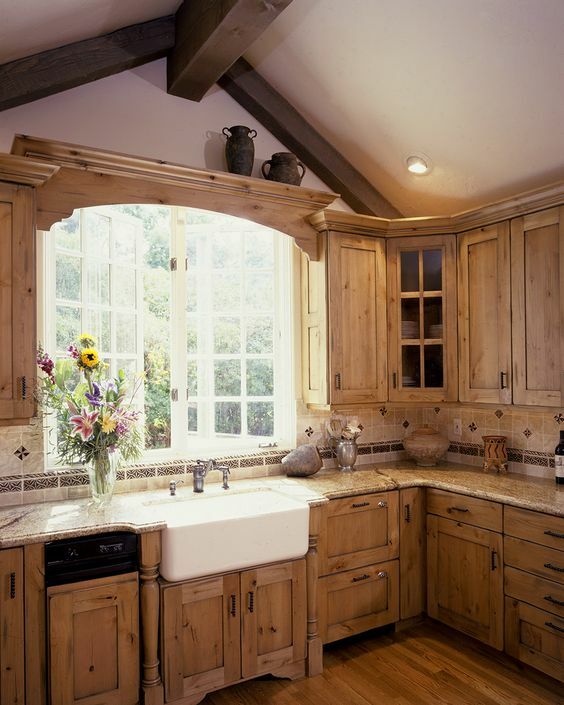 If you want an airy feeling and a slight rustic touch for your space, rock neutral-colored and light-colored wood cabinets. 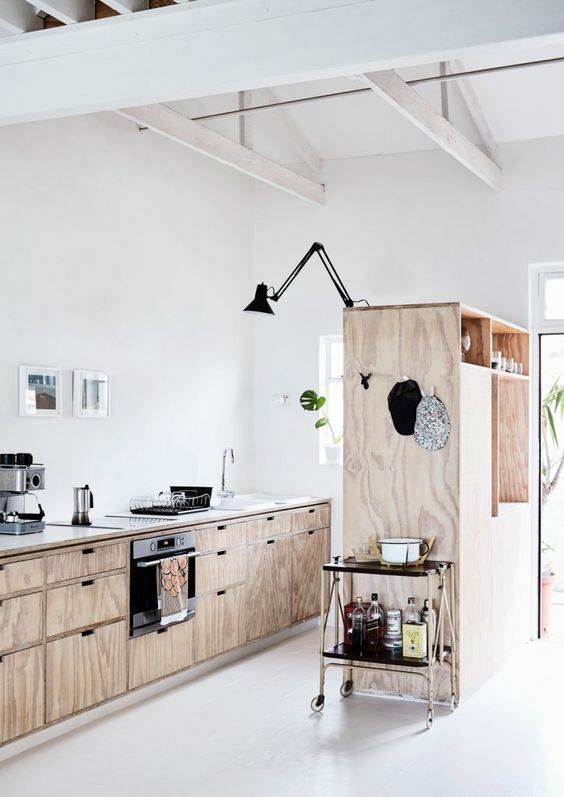 Such an idea fits modern and minimalist interiors most of all but you can also incorporate such cabinets into an industrial or Scandinavian space. 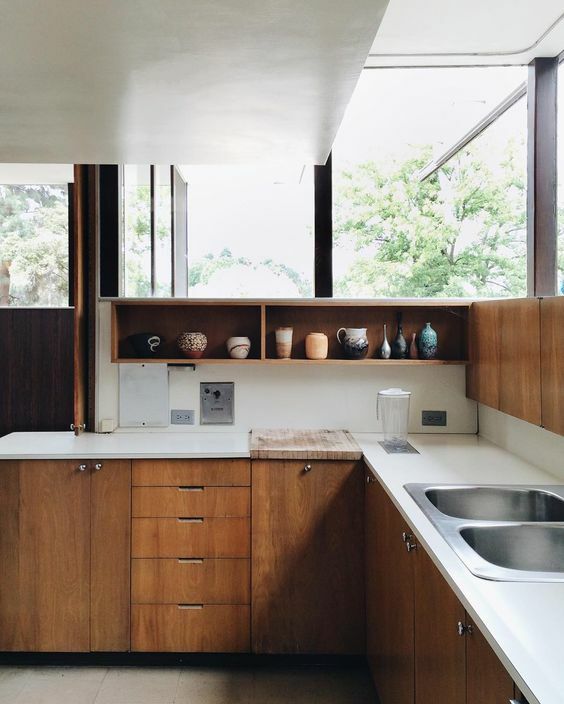 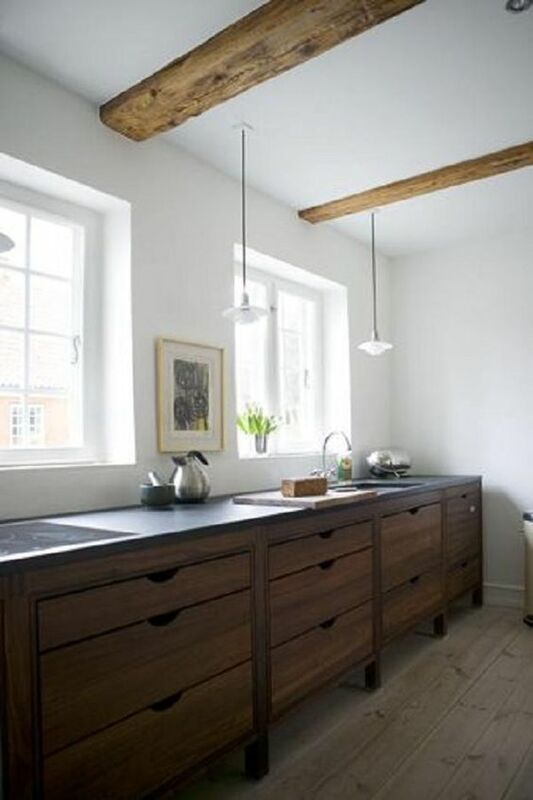 Concrete or stone countertops will be a great contrasting touch to the space. 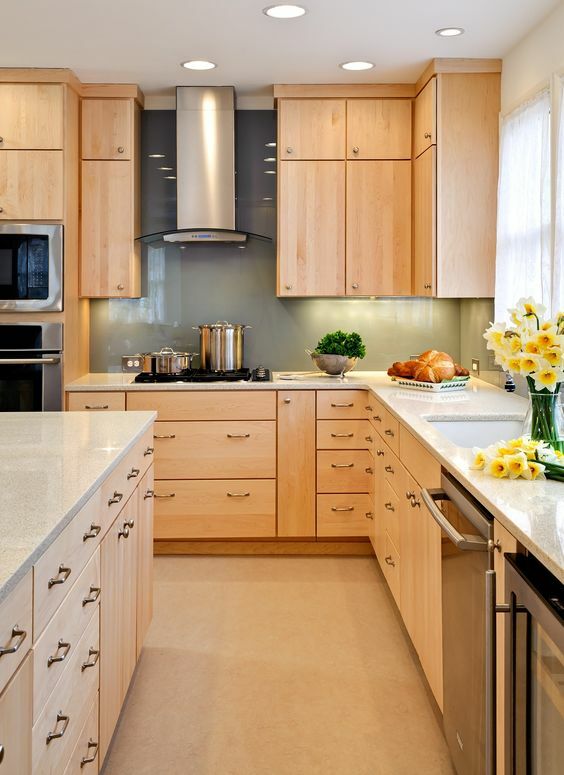 The final look of the cabinets should correspond the style you’ve chosen. 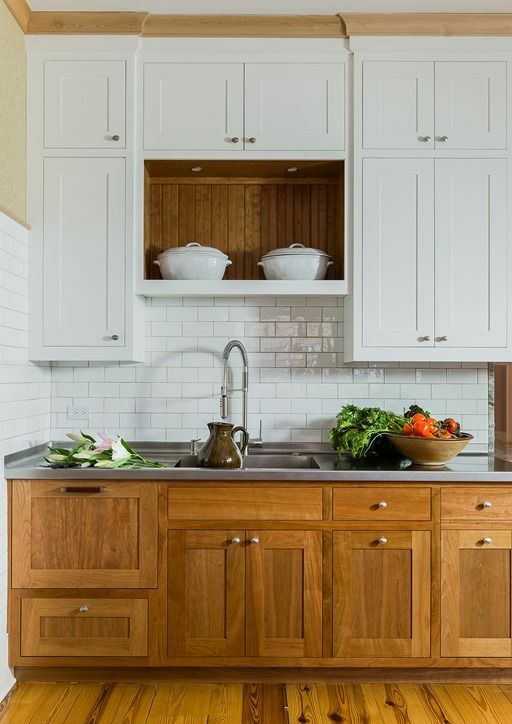 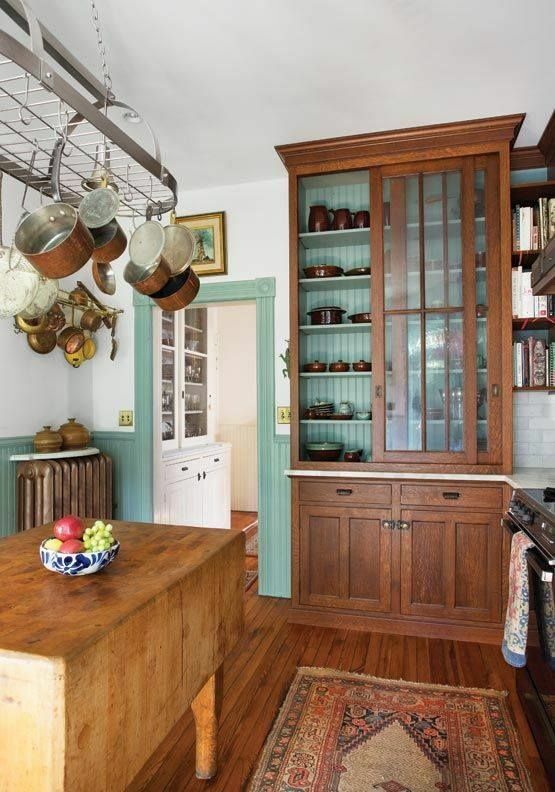 If you want a cozier and warmer feel, try rich-colored wood cabinets that also show the wood texture. 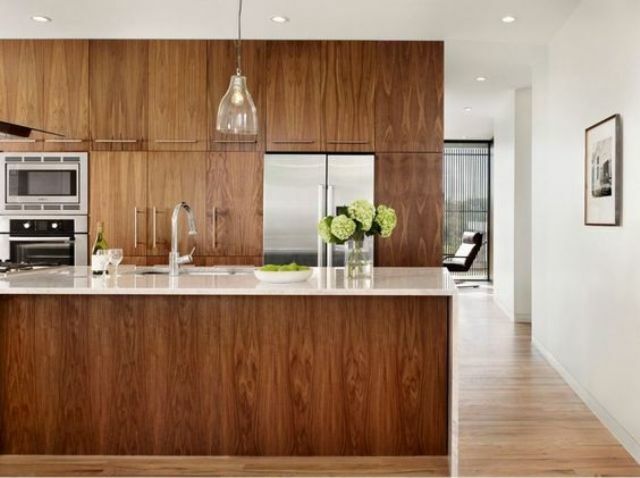 Dark or light-colored countertops will be a great contrasting touch. 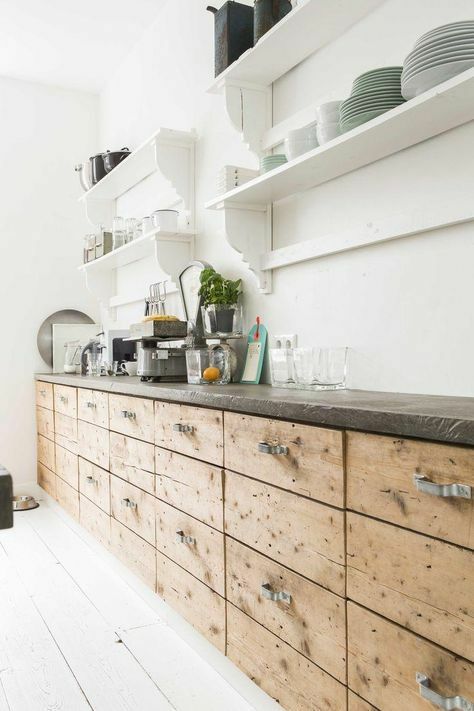 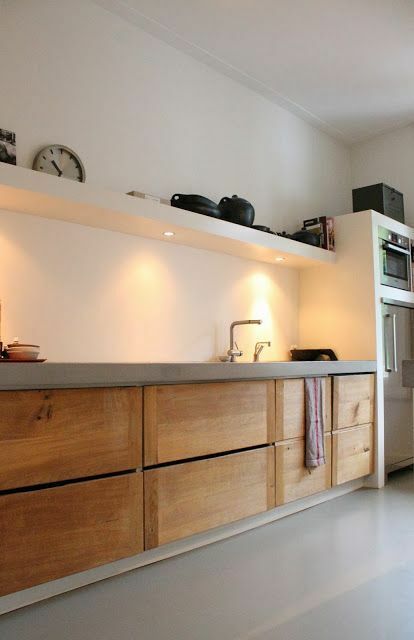 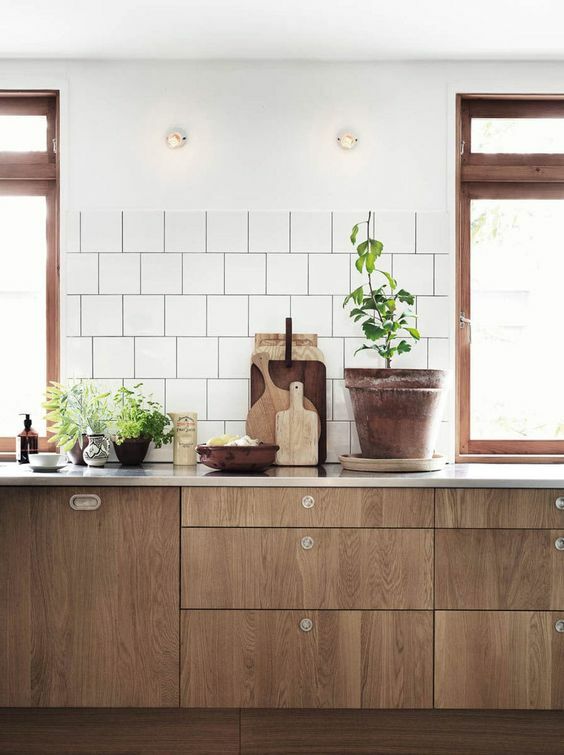 Such cabinets will be a great idea for any kind of kitchen including vintage, rustic, industrial, moody and so on. 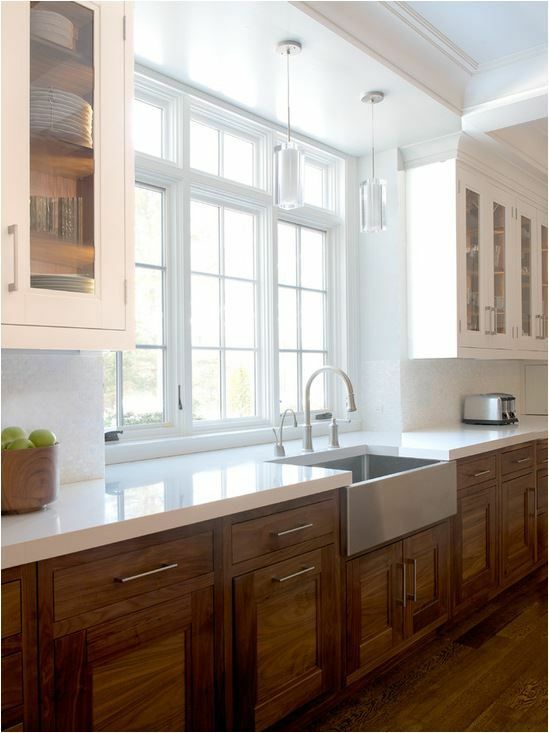 Accessorize the cabinets with proper handles and countertops according to the style you’ve chosen and colors.